If you’re looking to build your dream house or tackle a renovation, you may want to secure a construction loan. This describes a sum of money you receive to help finance your building costs. But borrowing money in this way differs from getting a standard mortgage. Read on to find out the requirements for a construction loan. Construction loans, particularly for large and costly building projects, will require a great deal of pre-planning and vetting before a bank hands over the cash. 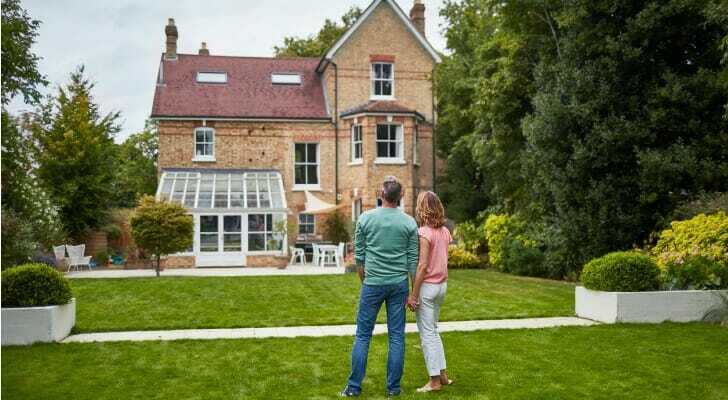 Essentially, you need to fulfill each of the following necessities to assure the lender that you have your ducks in a row before building really commences. To get a bank, lender or institution to finance your home building project, you must have hired a reputable, licensed builder with the documentation to prove it. Unless you plan to build the house yourself without a professional builder (which would require a different kind of loan), you will need to provide a list of your chosen builder’s projects, past and present. Many lenders will also ask you to provide a profits and loss report. A qualified builder is a licensed contractor who has a proven reputation for building safe and enduring homes. If you do plan to build your house yourself or hire an amateur builder, finding a lender, bank or institution to finance that pursuit will prove exceedingly difficult. What’s more, it would be a poor choice to forgo professional services and potentially jeopardize your construction project. No wise lender would hand over a substantial amount of money for an unclear plan. Delineating a construction plan is one of the requirements for a construction loan. To maintain a relationship with the bank, lender or institution, you must provide a detailed description of every aspect of the construction plan. These details, in one final copy, are commonly referred to as the “blue book.” Your project’s blue book must include information on the general timeline of the project, floor plans, ceiling heights, what variety of home insulation you’ll use and the cost of the wood used in the structure. You’ll also need to provide the profit projections for the future of the house and an inventory of all of the building materials. The blue book must also name each of the suppliers and subcontractors involved in the project. The criteria for construction loans are based on the value of the completed product. Getting an appraisal is thus one of the requirements for a construction loan. A licensed appraiser usually estimates a home value. It may seem confusing to appraise a house that does yet to exist. But the lender, bank or institution must nevertheless have an appraiser as part of the deal. The appraiser will be responsible for considering the blue book and all the details therein. He or she must also assign value to the plot of land on which the home is being built. Then the appraiser takes these calculations and measures them side-by-side similar houses and building projects in comparable locations. The appraiser refers to these comparison houses as “comps.” Ultimately, the appraiser determines the value based on comps. They are location-specific and market condition-dependent. Another one of the requirements for a construction loan is a sizable bit of cash at the ready. 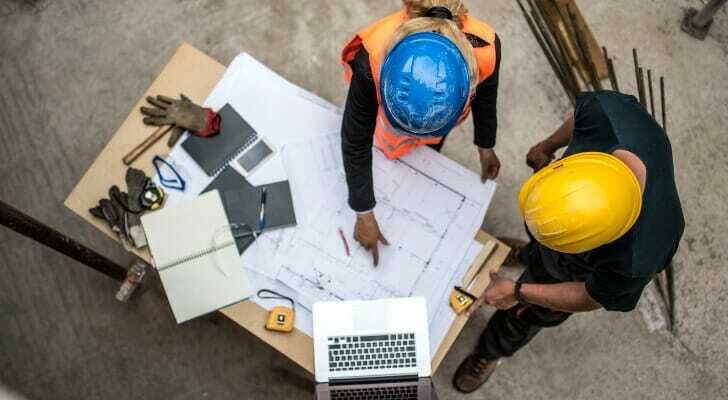 Because construction loans provide such a great amount of assistance for very ambitious projects, lenders will typically require a minimum of 20% down. Many lenders will even ask for as much as 25% down. This very high minimum is instated to ensure that you as the home builder commissioner are sincerely invested in the project. Lenders don’t want borrowers to abandon the construction should things become difficult down the line. These high down payments also serve to protect the bank, lender or institution in the event that the finished project doesn’t end up being worth as much as the appraiser estimated. The certainty of your ability to repay the loan is the final step. The lender will most definitely request to see proof of income and a sparkling credit score. Obtaining a construction loan is unlikely to be an easy pursuit, but it comes down to your commitment to seeing your house building process through to its completion. Understanding how construction loans work hinges on being aware of these requirements. Make sure you have a reputable construction company and description of the construction plan. Also, get an appraisal and have that down payment money at the ready. Jane Thier Jane Thier writes on a variety of personal finance topics for SmartAsset. Her expertise includes banking and mortgage. Jane is currently studying at Washington University in St. Louis and serves as editor-in-chief of Armour Magazine. Jane aims to receive her Master's Degree in Journalism.